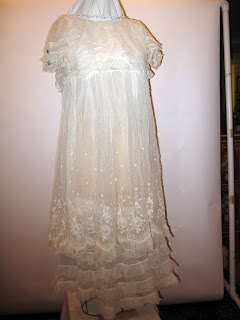 Elegant white lace and net girl’s dress from 19th century. 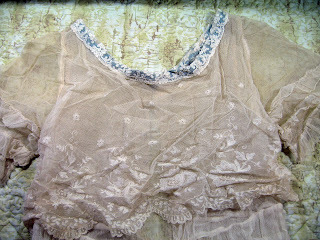 Blue silk ribbon trim on ruffled short sleeves and at neckline. Hook and eye back closure. 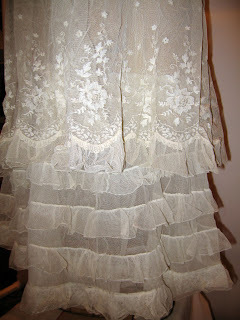 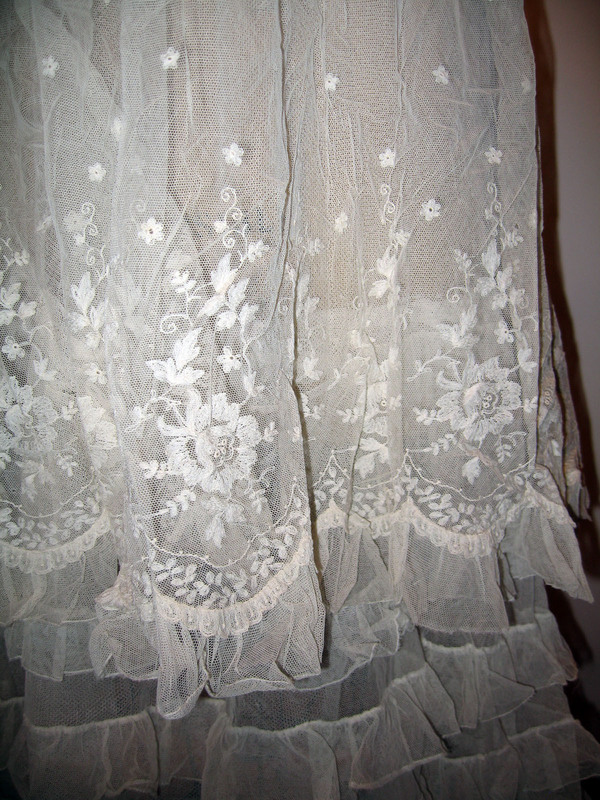 A frothy flouncy lace and net overskirt tops the attached net underskirt. 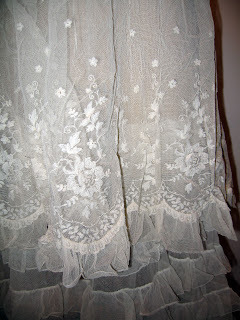 3 tiny holes in the lace overskirt in back. 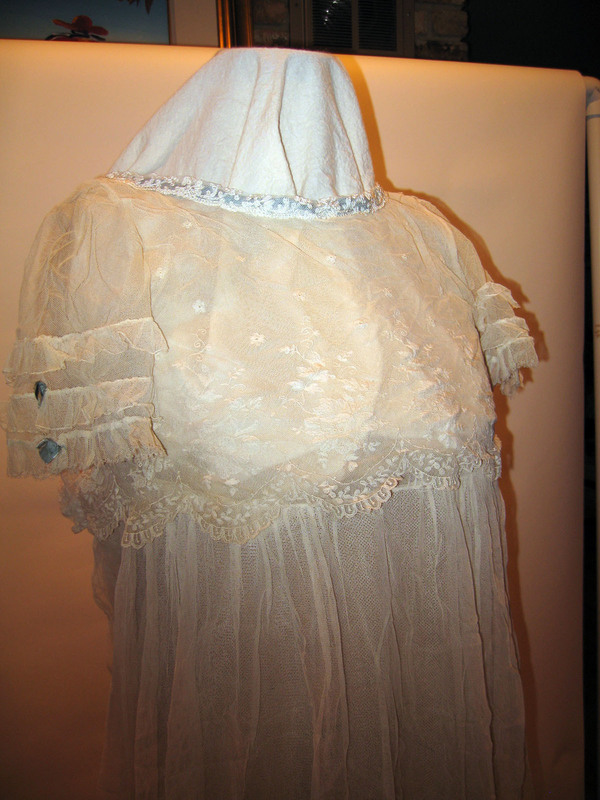 Measurements taken flat: 12 ½” underarm, 8” neck back to waist, 11” waist, 41” length. Items are not returnable so please ask questions prior to bidding. Vintage clothing is not guaranteed to be wearable. 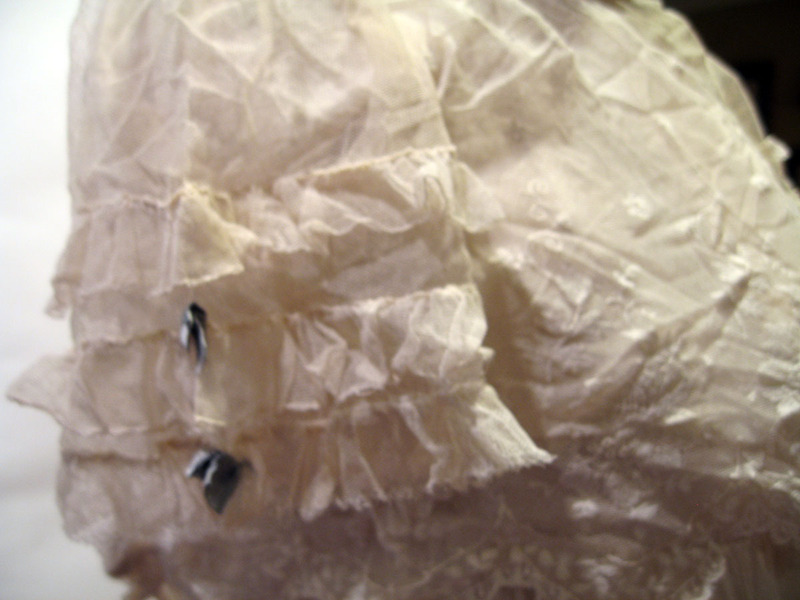 All measurements are made with items lying flat; examples: underarm to underarm, shoulder to shoulder. 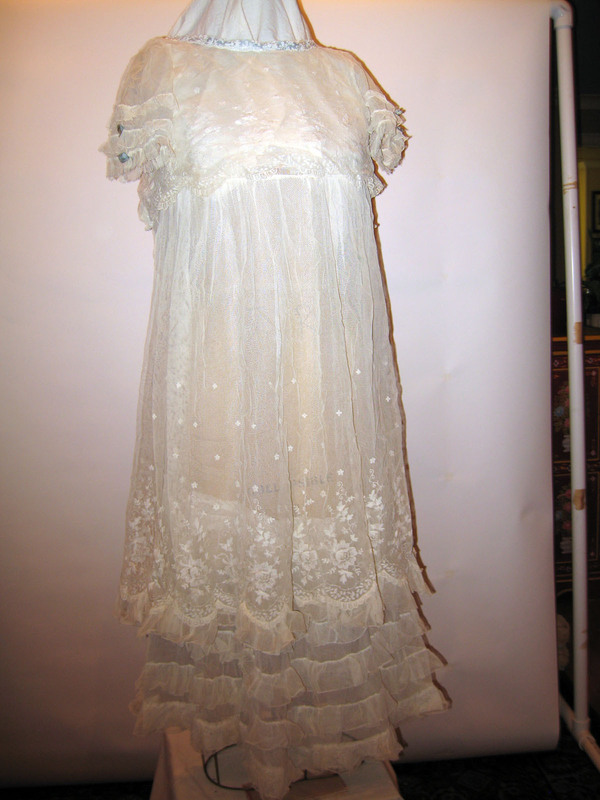 This is most likely from about 1911, give or take a year. 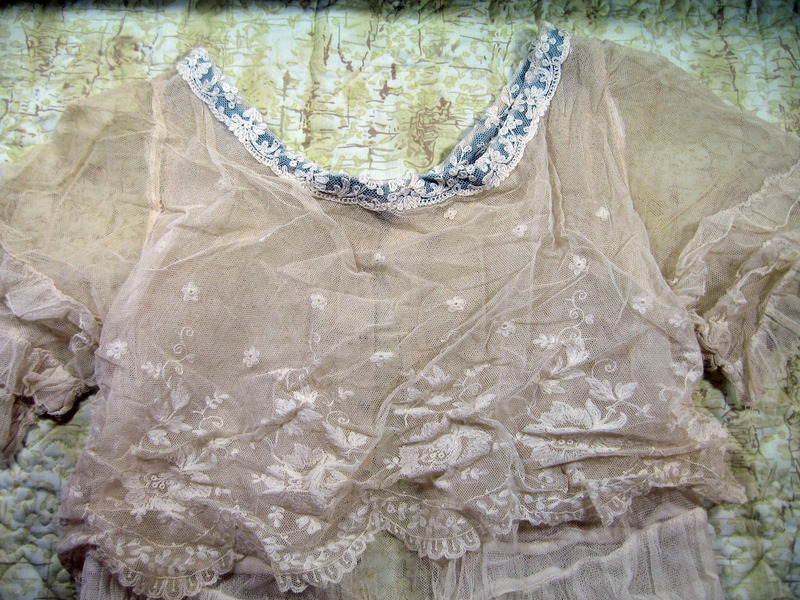 The high bust line and the use of silk net and embroidery indicate a later date than the late 19th Century the seller states.